One of my friend sent me these, as she very well know that we love spicy food and especially chillies... Even though they don't eat spicy food, She makes it a point to add some extra chillies in the food she sends me. 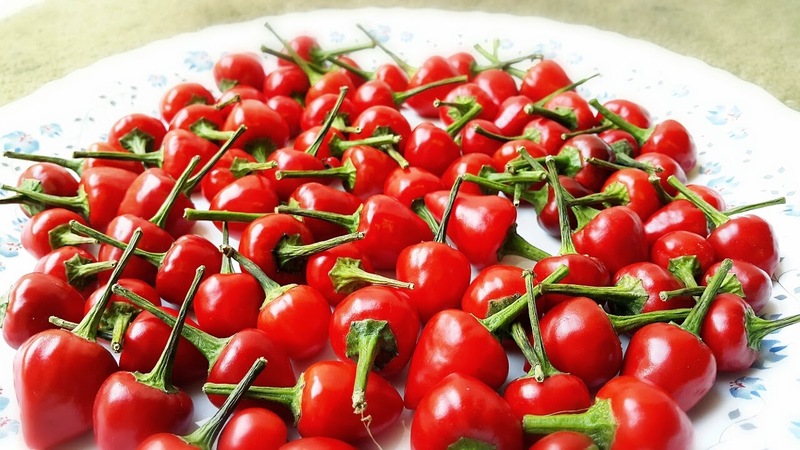 Today she said she thought of me on seeing this rare fresh red chilli... she sent me a pack of it and as soon as i saw them i was unable to control myself from clicking some pictures. 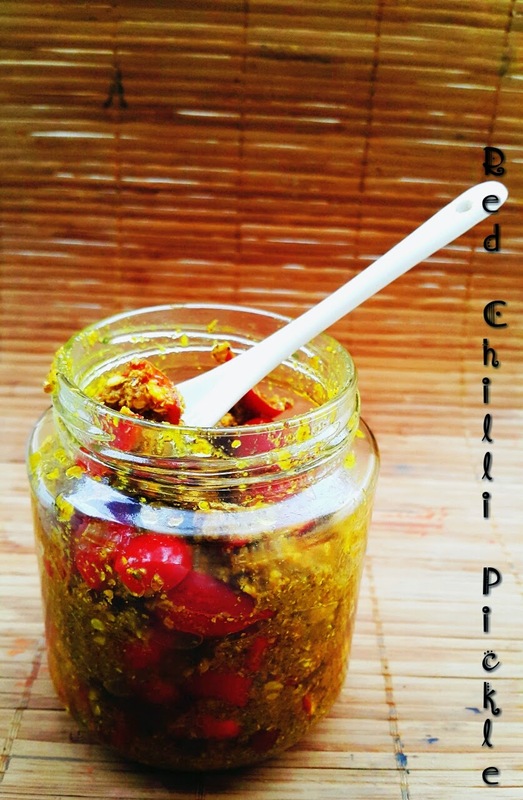 First i thought of making some red chilli paste but then changed my mind and made these Maharashtrian style chilli pickle... 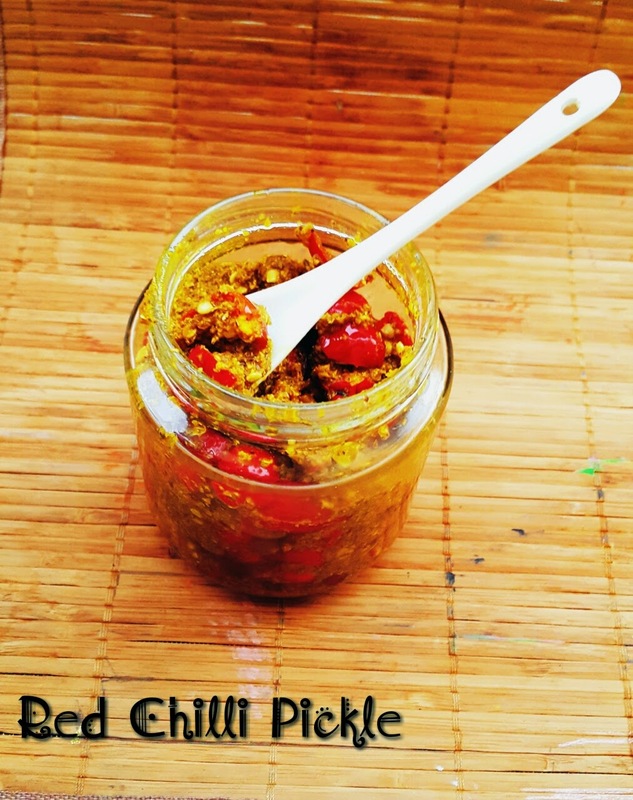 This pickle can be made with red or green chilli. Wash and dry the chillies completely, make sure there is no water. Transfer the powder to a clean dry bowl and add the lemon juice to it and set aside. 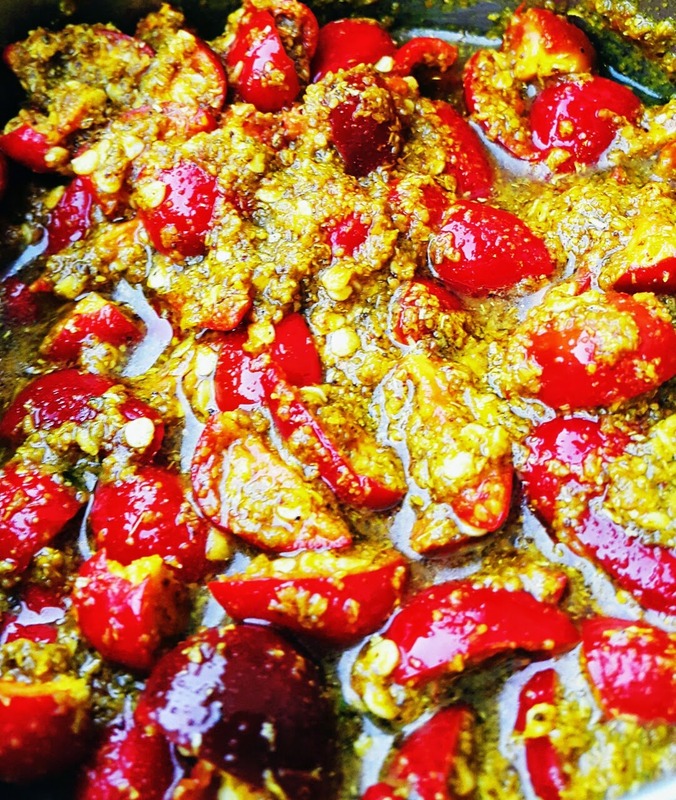 Add the oil to a pan and bring it to a smoking point, then pour it over the powder and mix well and immediately add the chopped chilies to it and mix well so the masala gets covered over all the chilli pieces. Transfer the pickle to a clean container and let it sit outside at room temperature for 2 - 3 days, mixing now and then with a clean dry spoon. Can be consumed after 2 days and make sure to store it in fridge after 3 days. Makes an yummy combination with curd rice and any paratas.